Grab a Costume and Get Game Show Tickets to "Let's Make a Deal"
The new television game show "Let's Make a Deal" is the latest reincarnation of the classic Monty Hall program that originally aired in the 1960s. 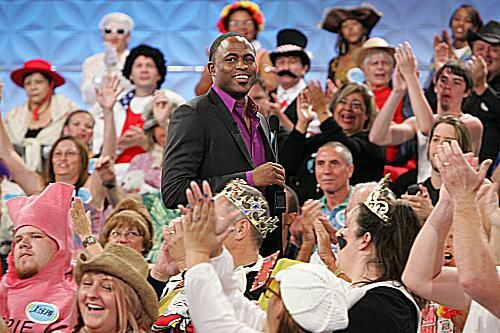 The new host is none other than Wayne Brady, with announcer Jonathan Mangum and model Tiffany Coyne leading the show. But if you want to see an episode recorded live in its Los Angeles studio for a chance to be a contestant on the show, all you have to do is apply for tickets! The show tapes at Sunset Bronson Studios in Hollywood. To be in the running to become a contestant, you'll first have to get tickets to attend a taping. Contestants are chosen from the audience, and each show holds a total of 190 people who are typically dressed in costume. Tickets can be ordered free of charge from on-camera audiences. Dates are posted two months in advance, and if your chosen date is full you can put yourself on a waiting list for "Let's Make a Deal" tickets. Taping dates are usually on Wednesdays, Thursdays, Fridays, and Saturdays. Two hour-long episodes are recorded on each date, one at 10:30 a.m. and the other at 1 p.m. Note that the times and days of the week are subject to change, so make sure you check at on-camera audiences to be sure that the show is actually filming on the day and time that you want tickets for. Once you've got your "Let's Make a Deal" tickets, you're in for a treat! The waiting area features a photo booth, food truck, coffee shop, and a gift shop where you can buy branded items. If you forgot your costume, you can even rent or buy one there, though we recommend showing up with your costume already in place. Contestants are chosen from the pool of audience members, so here are a few things to keep in mind if you'd like to play the game on television. You must bring a photo I.D. with you and be prepared to fill out an application and recording release form (this will apply even if you're not selected for the show so that your image can appear on television). Costumes are also strongly encouraged —, especially original ones. Dressing up as a ghost or something else very common will not likely get you picked. Finally, you must be 21 years of age and older to be a contestant. When you enter the studio's waiting area, you will have a chance to indicate that you're interested in becoming a contestant. 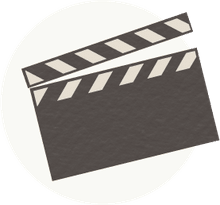 At that time you'll have to do a series of short interviews in which you tell the casting staff a little bit about yourself, fill out the appropriate forms, and do a short video test to see how you appear on film. After that, you can take your seat and keep your fingers crossed! Remember, if there's something really interesting about you, your costume, the reason you're in Los Angeles, or anything else that stands out, mention it. You'll need to be memorable in order to have a chance at playing the game. According to literature from the show, your odds of being a contestant are 1 in 18. These are extremely good odds for a game show, so be sure to get those tickets and try your luck!